Harlaw Garage is a local garage, owned and run by a local family. Based in Inverurie, only 20 minutes drive from Aberdeen, with easy access and parking. Harlaw Garage provides a range of quality services for the local car owner and driver. Whether you want to arrange a service, have your car or van repaired, need new tyres, mot'd or ask some professional advice...Harlaw Garage can help. Harlaw Garage offers servicing and repairs with a high level of service at very competitive prices. An Interim car service at a fixed price of only £96 and a 4x4 service for £139(including the VAT! ),all repairs on all makes and models whether it be brakes, suspension, clutch, exhaust, steering, diagnostics,tyres and welding-in fact pretty much anything that might need looked at. 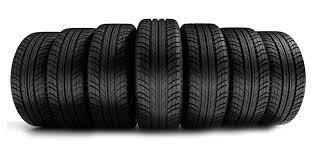 We offer very competitive prices for tyres-an all inclusive fitted price with balancing, new valve and disposal as standard. Have you already bought tyres?-we can probably fit them for you too. With a free local collection and delivery service available and a complimentary car wash for every service customer, Harlaw Garage is hard to beat.Established in 2009, we are a small team who have many years experience in various areas of the motor trade-mechanical, technical, management, and finance. We pride ourselves on good old fashioned customer service.